After the 1. pump is disintegrated, the gear and seal components should be put on the clean table and the parts should be cleaned with compressed air or clean cotton cloth. And carefully check whether the parts wear, crack, burr and scratch. Use 600 sand paper to gently grind the surface of the attachment, especially when grinding the gear, medium plate and D bearing, must not go to its metal or grinding it. Otherwise, it will affect its measurement function. 2. during the heating process, the residual materials are dissolved and discharged. Screw the sealing cover and the front and rear cover bolts in turn. All parts to be removed should be kept firmly in place and installed at all times. 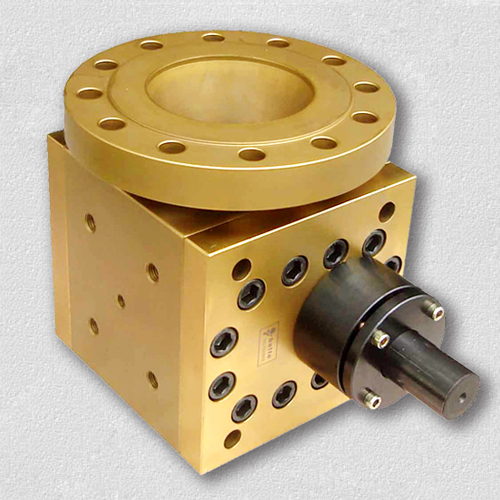 When the gear is taken out of the gear pump, the residual solid material is adhered to. Do not damage the edges of the teeth and bearing with hard knocking, but it should be gently knocked out with plastic or soft hammer. 3. carefully remove the melt pump from the equipment and put it into a vacuum heater for two hours to 400 -450. The temperature should not be overheated, otherwise the hardness of the pump body will decrease, which will affect the stability of the pump volume. 4. after the completion of the melt pump parts, use three chloroethane or vinyl chloride solvent cleaning, and then wipe clean with cotton cloth, cut no paper towel, because there may be paper or impurities stick to the parts, after cleaning can be installed.